French Defence is a tough nut to crack. This opening has a reputation for being a very good counter-attacking weapon. It was used with success by almost all the great players at the past and nowadays. Since the arising middlegames are extremely complex, usually, all three results are possible. Above-mentioned considerations explain why the choice of weapon against the French Defence is so important when we play 1.e4. 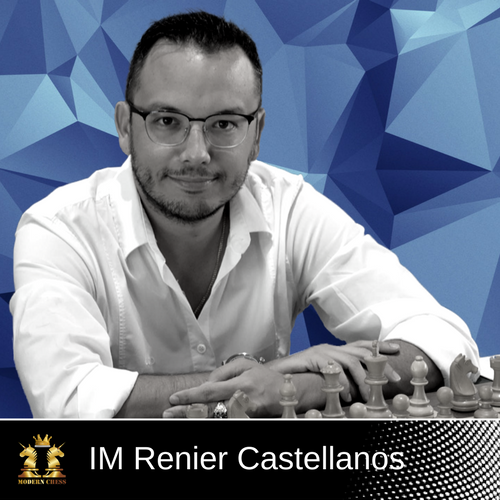 In the current database, IM Renier Castellanos suggests a positional repertoire against the French which is based on the so-called Tarrasch Variation. Before start dealing with the subtleties of the database, let's make a short introduction to the opening. 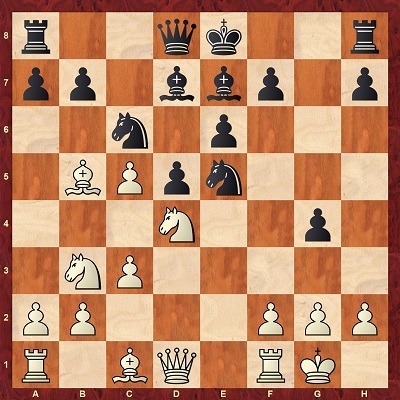 White has 3 main options to meet it: Sveshtnikov’s 3.e5, the aggressive 3.Nc3, and the Tarrasch Variation – 3.Nd2. The Tarrasch variation is one of the most solid choices against the French Defense. This move has had a reputation of being a little tame but in my opinion, is a very practical move which has given me good results in my tournament practice. The main reason I switched from 3.Nc3 to 3.Nd2 was to avoid the incredible amount of theory in the Winawer (3...Bb4) and 3...Nf6 variations. I found in 3.Nd2 a perfect balance between strategic play and tactics. I began by studying the games of the specialists, Sergey Tiviakov and Michael Adams. Both players have great results in this line. It was from their games that I made my repertoire choice that I will share with you in this database. The database consists of 18 Theoretical lines and 15 memory markers. The author chooses a very interesting approach - he suggests a repertoire which is not based on the “main lines”. Nevertheless, he explains the pros and cons of the other continuations which gives the reader an option to choose and to change his repertoire. Black has plenty of options to meet 3.Nd2. During the years the move 3…c5 proved to be the most solid antidote. That’s why the database starts with it. After the moves 1.e4 e6 d4 d5 3.Nd2 c5 4.exd5, we reach an important crossroad. This is the main equalizing weapon for Black nowadays. At this point, Castellanos suggests 5.dxc5 which is used with success by one of the modern heroes of Tarrasch Variation – GM Michael Adams. 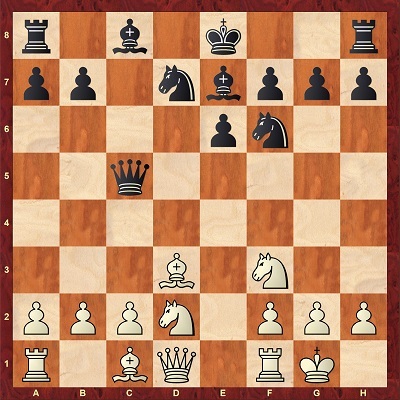 In this position, Black tried several moves, but neither of them equalizes completely. In the second game, Reiner analyses the strongest 5…Qxc5. The author claims that this is the strongest move and the latest trend in this variation. 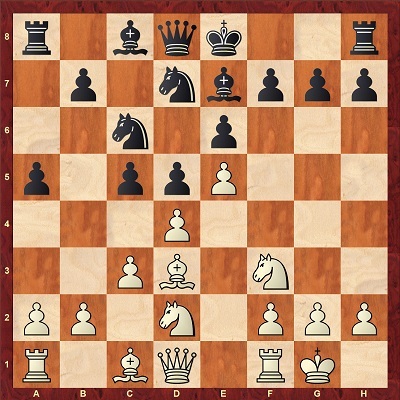 Black’s main idea is to retreat the queen to c7 and to execute the maneuver Nd7-c5. The other plus of this move is that now Bc4 is without tempo. 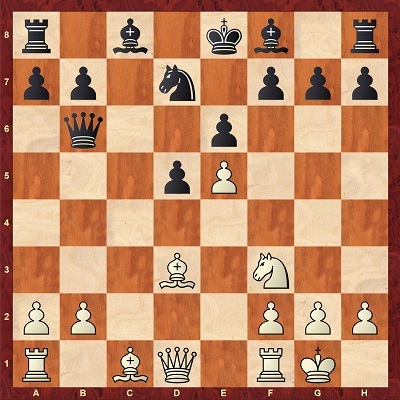 In this important position, Reiner comes up with a fresh and interesting idea 9.a4!. The main idea is to met 9…b6 with 10.a5!. Reiner is objective and says that he believes that after 9…Qc7! Black has good chances to equalize, but he goes deeper into the position and shows some ways to create practical problems for Black. Chapters 3-5 are dedicated to the “Old main line”. The critical position arises after 1.e4 e6 2.d4 d5 3.Nd2 c5 4.exd5 exd5 5.Nf3 Nc6 6.Bb5. See how the author describes those positions: I must say that it is very difficult to prove a clear edge for White in many of these lines but the better structure counts. In many games that I have analyzed, while the engines at some point was giving 0.00, the player with White often managed to win anyway, which led me to the conclusion that White's position is simply easier to play. 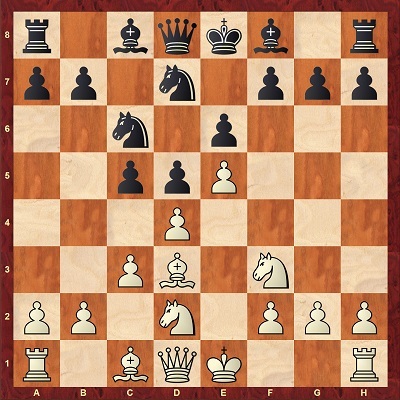 In this position, Black usually played 6…Bd6, but Reiner also analyzes the move 6…Qe7 which is popular nowadays. He proves that after 7.Be2 Qc7 8.dxc5! White is simply better due to his favorable pawn structure. This position is a very critical for Black. Chapter 4 deals with 9…Bb6 while in Chapter 5 Renier examines 9...Bd6. Both moves are interesting and lead to "almost" equal positions. Nevertheless, the author proves that accurate play allows White to pose some problems. In Chapters 6 – 9, the author analyses the tricky move 3…Be7 which was tried with success by such players as Morozevich, Short, and Korchnoi. In this important position, Black has tried different schemes of development. 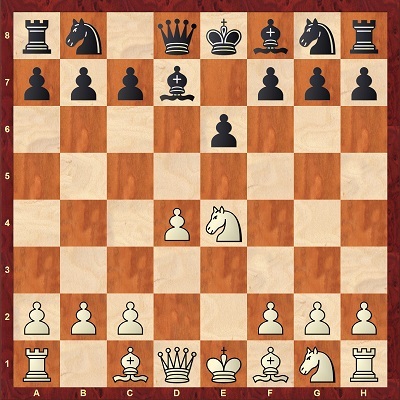 In Chapter 6, you will find the move 7…b6 with the typical idea of 8…Ba6. 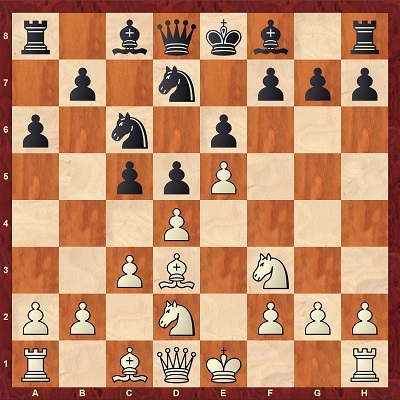 In this position, Reiner suggests 8.0-0, but also analyses in detail the very interesting 8.Nf1!? which scores quite impressive in practice. Here the author suggests 9.a4!? The idea is to fix the b5–square and later to install a piece there. After an exchange on d4, the maneuver Kd2-b1-c3-b5 is quite common for this line. In Chapter 8, we finally reach the most critical line after 3…Be7 - 8...g5!? The practice proves that here White should release the tension by playing 9.dxc5, when Black is at a crossroad again. 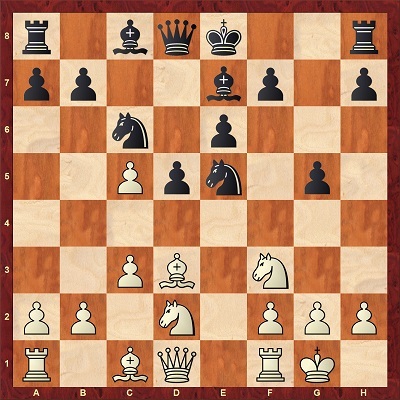 In this chapter, the author deals with the position arising after 9…g4 10.Nd4 Nde5 11.Bb5 Bd7 12.Nb3!? 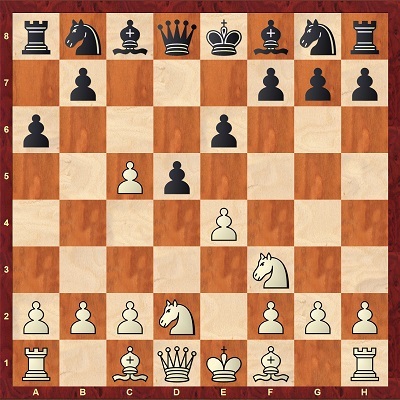 According to the analysis of Castellanos, the position remains complex, but it is much easier for White to play. In Chapter 9, the author analyses the most topical continuation 9…Ndxe5. Castellanos claims that this is the most solid and the strongest move in this position. After the obvious moves 10.Nxe5 Nxe5, he offers again two possible continuations: 11.Bb5 and 11.Nb3. Both moves score very well and Reiner deals with them very deeply. That is why you can choose between one of them or even try both. It seems that Black has some counterplay, but White’s position should be easier to handle. In Chapters 10-14, you will find the most popular answer to 3.Nd2 – the move 3…Nf6. 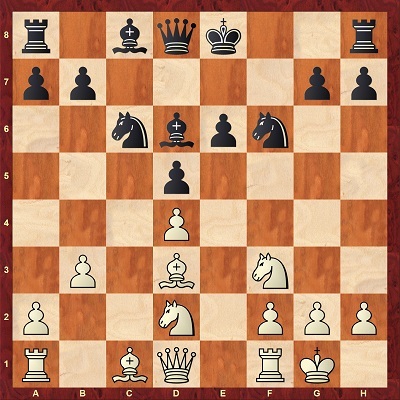 Here, Renier suggests that White should go for 4.e5 Nfd7 5.Bd3 c5 6.c3 Nc6 7.Ngf3! ?, instead of the main line – 7.Nge2. Here is how the author describes the ideas of the gambit: This gambit offers White a long-term compensation in return for the minimal material investment. 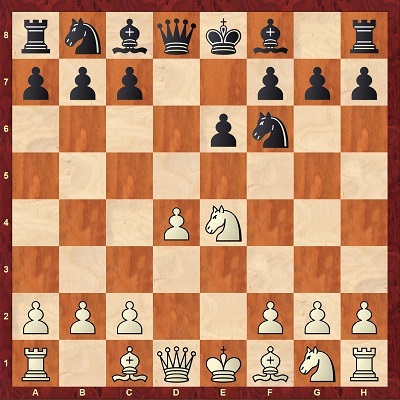 I wouldn't say that White is better, or that there is a direct route to a clear advantage here, but we have a complicated game with good chances to take over the initiative. My only advice for you in this line is to play for development and keep the logical thinking. The returns of this pawn sacrifice can take a long while to show. In this position, Castellanos analyses 4 different moves for White, so you can choose the one which suits the best. 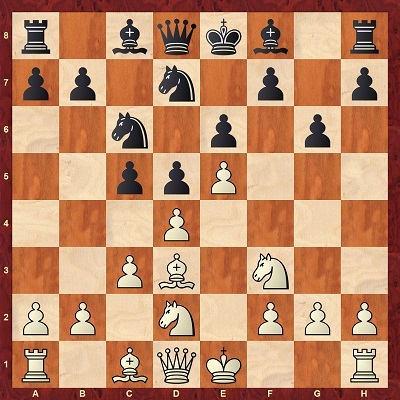 In Chapter 11, you can find the move 7…g6 – Gurevich’s Fianchetto. This was a fairly decent try against White's system with 7.Ngf3. 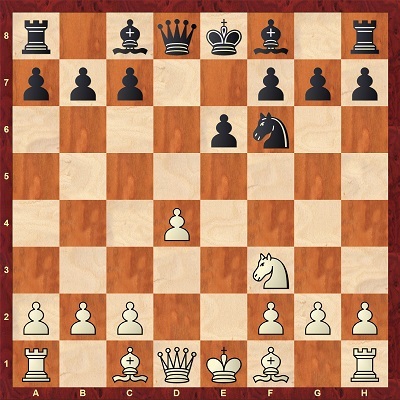 Black's idea is to play Bg7 followed by 0-0 and f7-f6 with a strong pressure against White's center. Therefore, White needs to respond energetically. 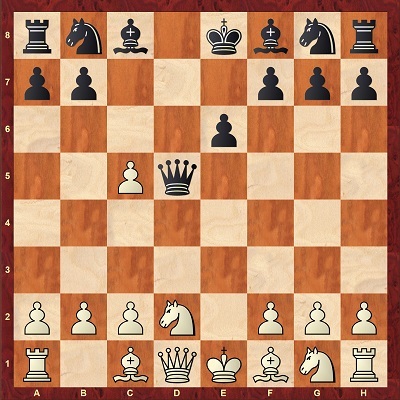 The author suggests 8.h4 and analyses 8…Qb6, 8…h6 and 8…Bg7, but it seems that White is on top after any of these moves. In Chapter 12, Castellanos analyses 7…a6. Here you should remember only one move - 8.Bc2. The idea is to meet 8...Qb6 with 9.Nb3. After this prophylactic idea, White can simply finish the development and be optimistic for the future. The analyses and the practice show that White is better in this line, even though it shouldn’t be underestimated. 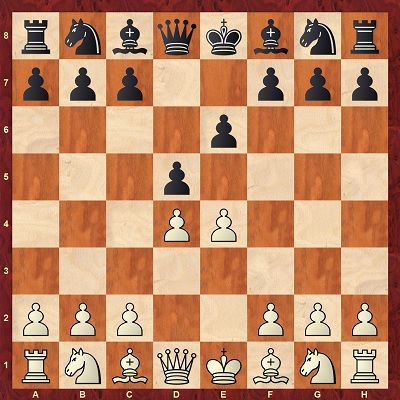 In Chapter 13, you will find the move 7…h6. The idea is quite simple - Black prepares the advance g7-g5. Here we apply the same rule as in the previous chapter. We should play 8.Bc2 and in many lines 7…h6 is simply lost of tempo. 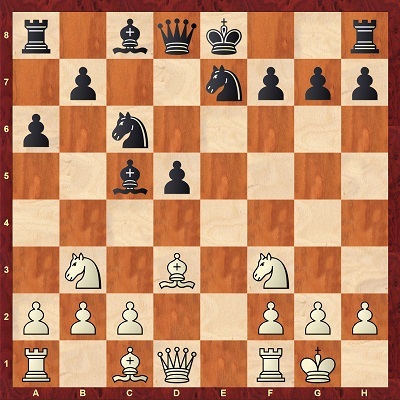 Renier also suggests a second option for White – the move 8.b3, with the idea to protect the pawn on d4 with Bb2. There are not so many games in this position. So, If you are looking for something fresh and want to surprise your opponent, you can use this little tricky move. 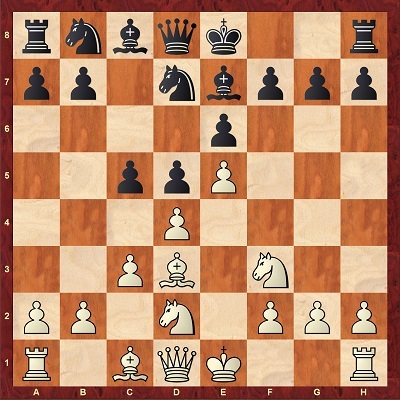 In Chapter 14, Castellanos discusses the positions when Black plays in a classical way 7…cxd4 8.cxd4 f6. This setup is the best against the main line (7.Ne2), but here it is not working quite well because of 9.exf6 Nxf6 10.0-0 Bd6 11.b3. White will put his bishop on b2 taking full control of the e5-square. White’s play is much easier, and Black is totally without counter-play. 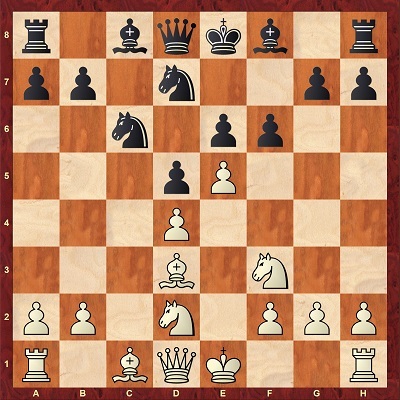 In Chapter 15, the author deals with the move 3…a6 which is quite a dynamic continuation. Black is aiming for IQP position and meanwhile prevents the nasty Bb5. White should continue with 4.Ngf3 c5 and then 5.dxc5 – we keep following Adams repertoire. In this case, we achieve positions similar to 3…c5 4…exd5 lines. Our plan is h3, c3, Re1, Bg5 – trying to exchange minor pieces and to gain a control of the important d4 -square. Castellanos proves that White should be optimistic for the future. This move was quite popular recently, but Castellanos claims that arising positions are very dubious for Black. In the main line 4.Ngf3 Nf6 5.e5 Nfd7, he suggests the precise 6.Bd3!. 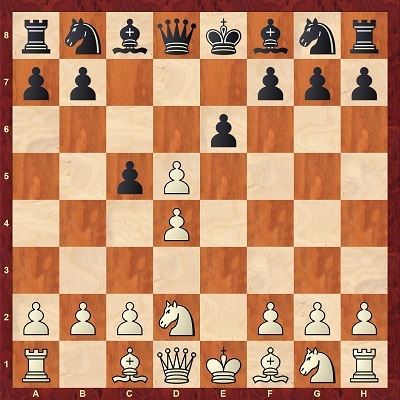 At the old times here 6…Nb4 followed by 7…c5 was automatically played, but nowadays White proves that Black is far from equality in this line. Black players start trying 6…f6 but after the spectacular 7.Ng5! Ndxe5 8.dxe5 fxg5 9.Qh5+ Black’s position is very difficult. Finally, we arrived at one of the most solid line for Black – The Rubinstein Variation – 1.e4 e6 2.d4 d5 3.Nd2 dxe4. This is a rare move compared to 4... Bd7 or 4...Nd7 but still a playable option. Here after the simple 5.Nxf6 both recaptures fail to equalize completely. This variation has a very bad reputation at a high level and Reiner convincingly proves why! 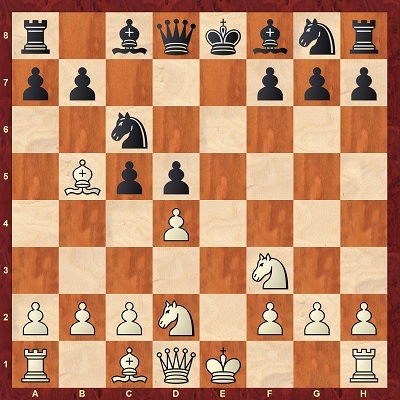 In Chapter 18 you will find one of the most serious tries for Black – 4…Nd7. This position was analyzed for many years and White has plenty of options how to play here. The main line arises after the moves 5.Nf3 Nf6 6.Nxf6 Nxf6. In this position, White has different plans. The most popular one is with 0-0-0 and some attack on the kingside, but these positions are not everybody’s taste and also Black’s counter chances on the queenside shouldn’t be underestimated. At this point, Renier provides us with a really nice idea - 7.g3. He was impressed by GM Ian Nepomniachtchi and his recent win against GM Meyer (one of the biggest specialist for Black). Here Reiner analyses 3 moves: 7…Be7 which is quite passive and gives White an easy game after: 8.Bg2 followed by 0-0 and Black can’t develop the queenside easily, 7…c5 which after 8.Bg2 cxd4 9.Qxd4! 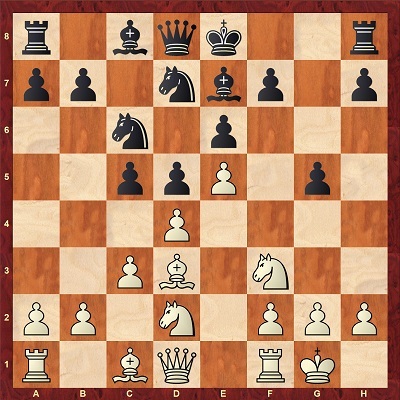 leads to a “Catalan” ending where White enjoys nice advantage and the main move 7…b6. In this case, White suddenly changes the plan and play 8.Bb5! which seems to be quite unpleasant for Black after 8…Bd7 9.a4!. 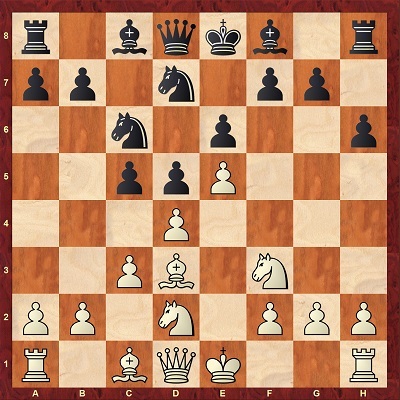 In Chapter 19, you will find the “ultra-solid” “Fort Knox” variation which arises after 4.Nxe4 Bd7 5.Nf3 Bc6. Black will exchange the bishop for one of White’s knights and will play c7-c6 with a solid position. White should continue with 6.Bd3 Nd7 7.0-0 Ngf6 and now 8.Ng3 keeps more pieces on the board. 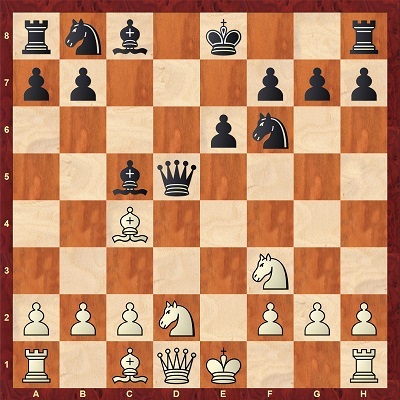 Later Castellanos explains both structures – with White’s pawn on c3 or on c4 and claims that White’s position is preferable, even though Black still is very solid. At the end, you can find 15 Memory markers which should help you to memorize the main plans and ideas.